Whether competition or training, certain stances adopted by horse riders have much in common with those of cross-country skiers or cyclists. From sagging legs to tilting the body; grouping the limbs is a must when you seek aerodynamics and balance. Testing equipment used in these disciplines has taught us many lessons. The first is the need to maximise the ability of these outfits to meet practical needs. Comfort, flexibility, placement – trying it is wanting it. The second thing to remember is a heads up: The crossover to horse-riding requires us to manoeuvre. That is the challenge we have set ourselves. 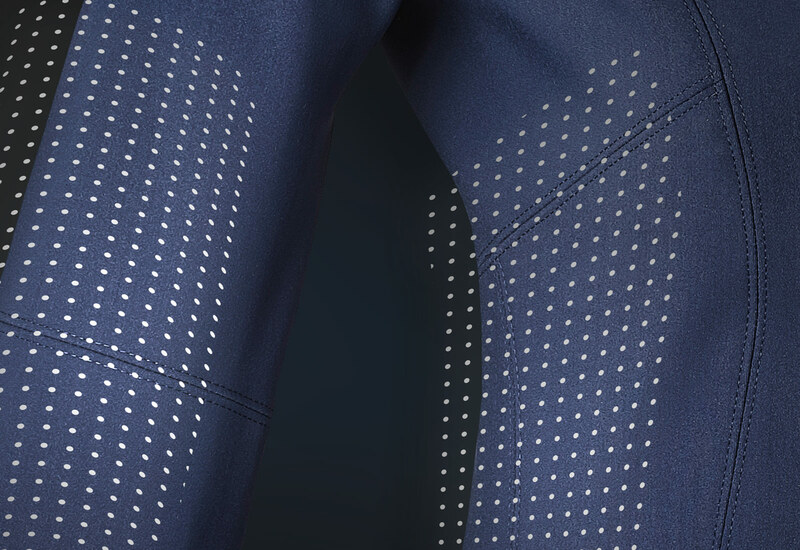 All of which paved the way to develop Preform Fit technology, which aims to release the rider movements; free of tension and free of all hindrance.